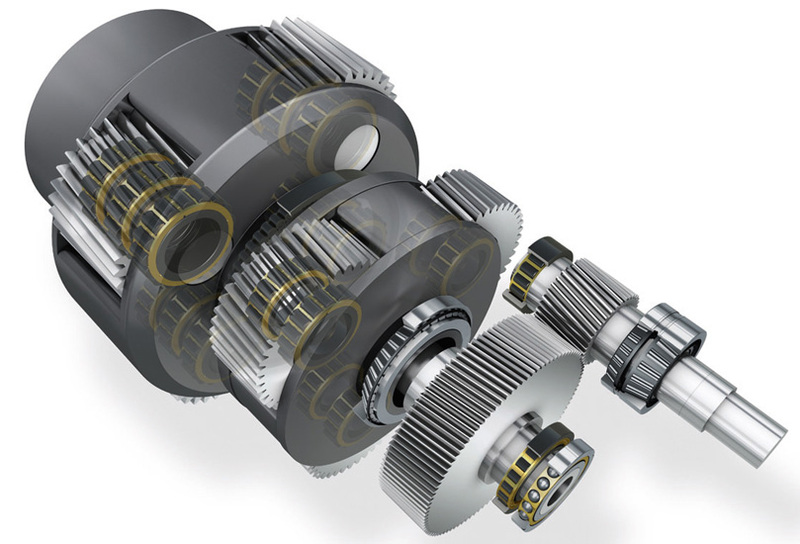 Selecting a suitable material for both gears and shafts on which gears are mounted is very important as material will specify the weight and maximum stresses that gear for shaft can take. So for the proper working of the design it is very important to select the best material available for the manufacturing of shafts and gears. To select the best material for the gear and shaft following are the factors which must be consider during the selection process. Tensile strength of the material used will define the maximum force or the stresses that a product made of that particular make can take. So it is very important that the selected material should have good tensile strength. Density of the material will define the final weight of the product made by that material. So it is very important that the selected material should have low density so manufacture a light weight product. Ductility is the mechanical property which defines the mode deformation of ay product under stress. A ductile material first under goes, elastic deformation then plastic deformation and finally permanent failure whereas Brittle have no deformation modes and it fails after the yield point. So it is very important that the selected material should be ductile one. Wear resistance is one of the most important mechanical properties required for this project as meshing gears wear with time due to friction between the meshing teethes so material from which gears well me made should have excellent wear resistance. Manufacturing properties of material are related to every product because to get any physical product material has to pass through a certain manufacturing sequence. For ease in manufacturing of this product material should have good machinability because gears and shafts are made from machining process, gears specially form hobbing or milling and shafts from turning process. Embodied energy is the energy consume during the ores extraction, manufacturing and decomposition of the material. Embodied is consider to be the most important property related to the environmental aspects of the material at it covers all the energy of the associated with the material. Material selected for manufacturing the product should have low embodied energy for lower environmental effect. CO2 footprints are calculation of the amount of the CO2 associated with the material during its complete lifecycle that is from extraction to decomposition. It is very important with respect to the environmental aspects and the selected material should have lowest CO2 footprint to have lowest effect on the environment. Recyclability is now considered to be the most import property because it contributes in the environmental and economic aspects of the product and material. So material selected for the manufacturing of the product should have good recyclability. Economic aspects are the final aspects which should be considered during the material selection. In economic aspects material rate and material availability are the factor which influences the material selection process. Selected material should be cheap and easily available to manufacture product effectively. To select any one material form the above mention materials, they must be evaluated on the bases on the above material selection criteria. Out of the three materials mention above ASTM A36 Steel seems to be the best as it has highest tensile strength with good ductility and excellent wear resistance. ASTM A36 Steel has lowest cost per pound, embodied energy and CO2 footprint with respect to the other three two materials. ASTM A36 Steel required more energy while machining as compared to the other two. Out of the three materials mention above Medium Carbon Steel seems to be the best as it has highest tensile strength with good ductility and excellent wear resistance. Carbon steel has lowest value for embodied energy but second for CO2 footprint with respect to the other three two materials. Considering the density, tensile strength and cost all together Medium Carbon Steel is the best material for the shafts.